HAT stands for Hardware Attached on Top. It's an optional set of hardware and software rules for add-on boards. The guidelines, provided by the Raspberry Pi Foundation, illustrate how the extra 14 pins on the Model B+ can be used to improve the user experience by delivering a 'plug-and-play' capability. 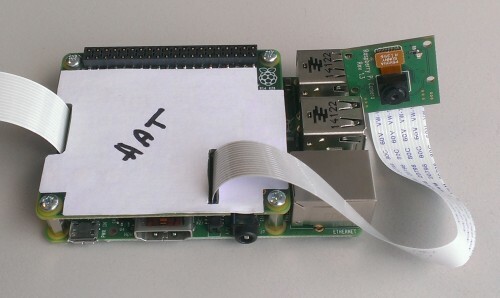 HAT-compliant expansion boards will be recognised by the host Raspberry Pi's operating system. This means the board can be automatically configured, for instance by transparently installing the necessary drivers. A great solution for anyone with limited Linux experience. In overview a HAT is a rectangular (65mm x 56mm) board which has four corner-positioned mounting holes that align with the Model B+ mounting holes. Two GPIO pins, namely ID_SD and ID_SC, are reserved for an I2C compliant Electrically Erasable Programmable Read-Only Memory (EEPROM) chip. This EEPROM stores the board manufacturer's information, GPIO setup and a 'device-free' fragment - which describes the attached hardware and so enables Linux to load the required drivers. As you'd expect the HAT specification is open source and available on GitHub. So anyone can design a HAT add-on boards for the Model B+. While it's entirely optional, the Raspberry Pi Foundation is encouraging everyone to commit to the HAT standard and make life easier for Pi owners. It's too early to know how successful the HATs initiative will be. Yet I'd be surprised if it wasn't embraced by the majority of bigger players in the Raspberry Pi add-ons and accessories marketplace.